As far back as 4000 BCE, the ancient Egyptians created a high level of art and decoration that continued through 30 dynasties and four main periods: First, the Ancient Kingdom, from around 4180 BCE to 3000 BCE and in particular Lower Egypt and the city of Memphis; second, the Middle Kingdom, from 3000 BCE to 1587 BCE, with its high point at around 2600 BCE and having Thebes as its capital; third, the Modern Kingdom, from 1587 BCE to 702 BCE and declining around 950 BCE; and fourth, the Later Period from 664 BCE to 525 BCE, when Egypt was conquered buy the Persians, again in 332 BCE after a revival by Alexander the Great, and again by the Romans in 31 BCE. There is an order, regularity and exactness in Egyptian ornamentation that can be attributed to their way of life. 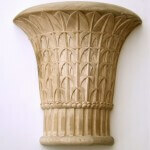 The lotus, papyrus flowers, date palm and reeds similar to maize were often depicted in ornamentation. To the Ancient Egyptians, their temples represented the world, with the ceiling being heaven supported by plants as columns and capitals. Many of the ancient artifacts were constructed and carved in acacia and sycamore, which was so precious it was considered sacred. The oldest carved wood panels in the world are believed to be from the tomb of Hesy-Ra, who was an administrator at around 2500 BCE. 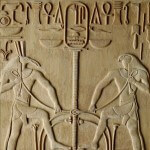 The six beautifully carved panels feature a figure of Hesy-Ra under Egyptian hieroglyphics. 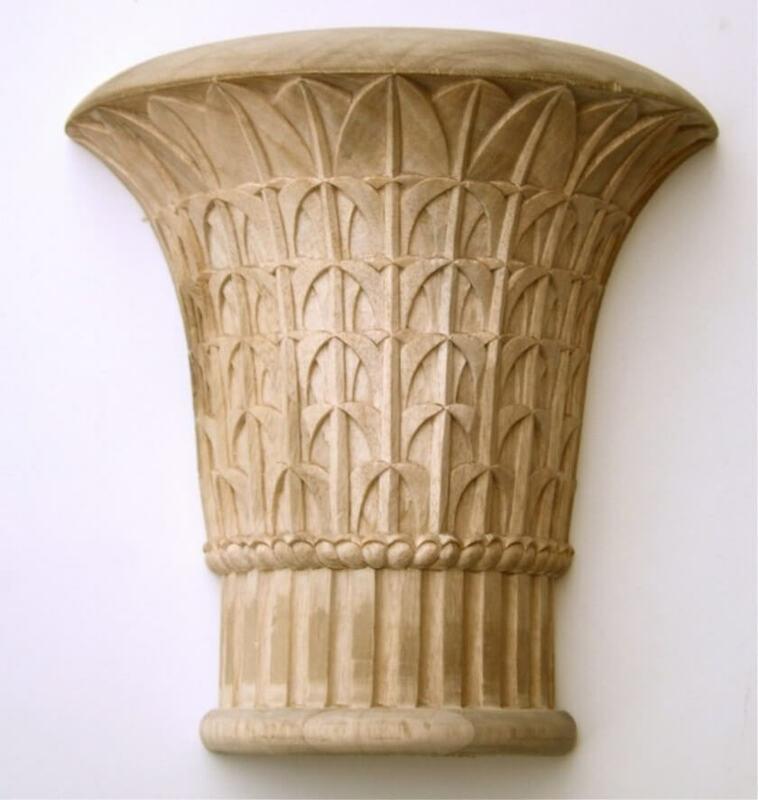 At Agrell Architectural Carving, we create woodcarving of such lasting beauty that we’re confident that anything we produce for you will be admired in 5000 years, too. 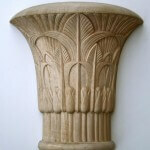 A wood Egyptian-style capital, inspired by those at the temple at Philae. Hand-carved by Agrell Architectural Carving. 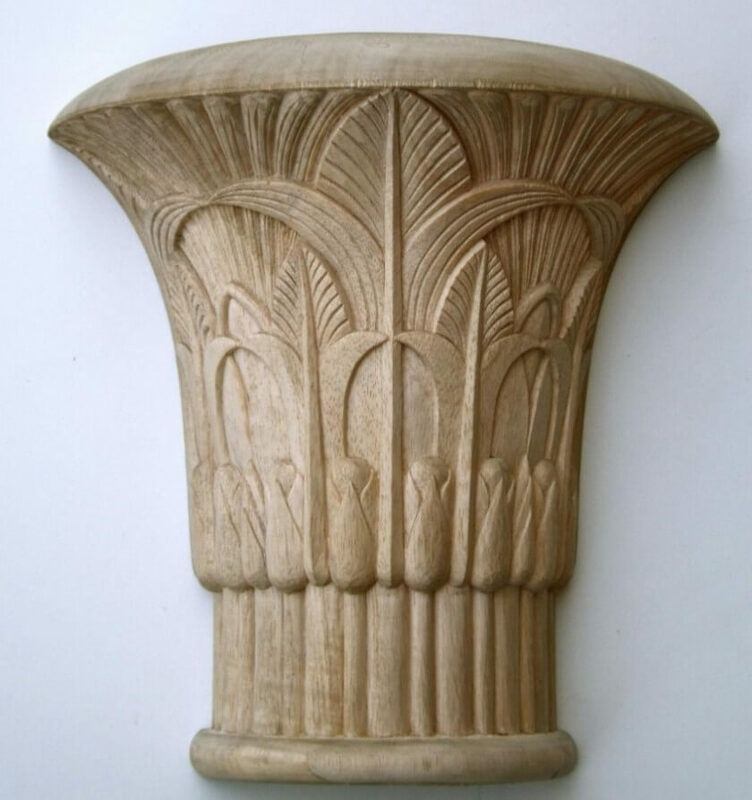 A wood Egyptian-style capital, inspired by those at the temple at Isna. Hand-carved by Agrell Architectural Carving. 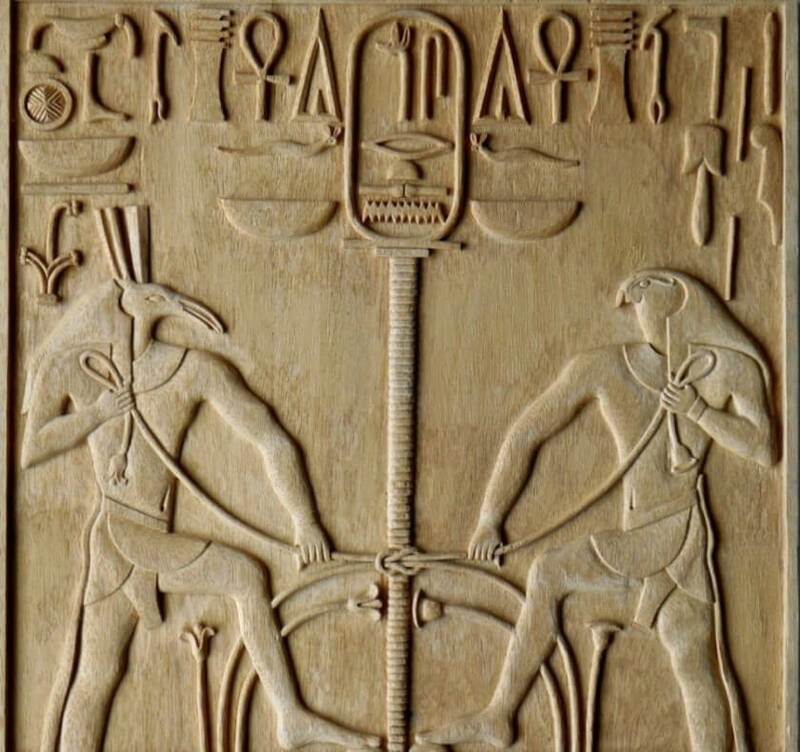 Egyptian-style panel based on those found in the tomb of Hesy-Ra. Hand-carved in wood by Agrell Architectural Carving.